I’m proud to welcome the newest podcast on Math Is Hard, ‘Buzzedwords‘. 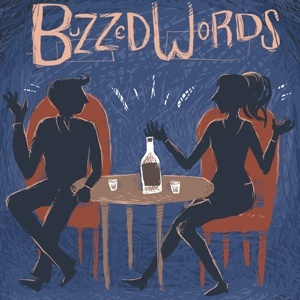 Buzzedwords is a live discussion and game show featuring two interesting people and a bottle of whiskey, hosted by Jeff Kamin. The guests discuss their areas of expertise with the host at the start of each half of the show. There are a selection of ten words each person is not allowed to say; if they say any of the words, they must drink. Not all of the words are in play at the same time; the words rotate at random, and are displayed behind the guests for the audience to see. If a participant happens to use one of the forbidden words, you will hear a sound, as well as what forbidden word was mentioned. As you can hear, this event was recorded live – if you live in the Minneapolis metro area, and would like to attend, the next Buzzedwords is on November 23rd at the Aster Café. Find out more information on Facebook, and also check out Modern Antics for more great events like this.